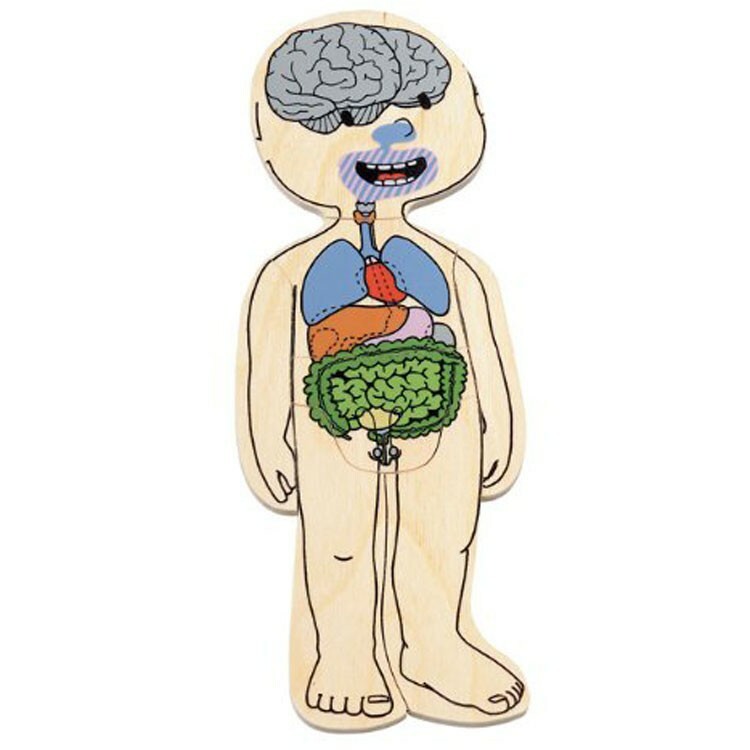 This unique human body learning puzzle by Beleduc shows the make-up of a boy's body with 5 puzzle layers. 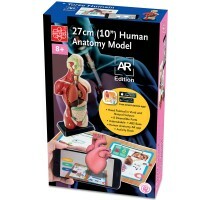 Teaching kids about human body is so much easier with the fun anatomy toy! 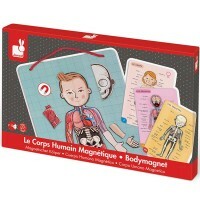 Learn about all the aspects of the human anatomy with Boy Human Body Learning Puzzle by Beleduc. 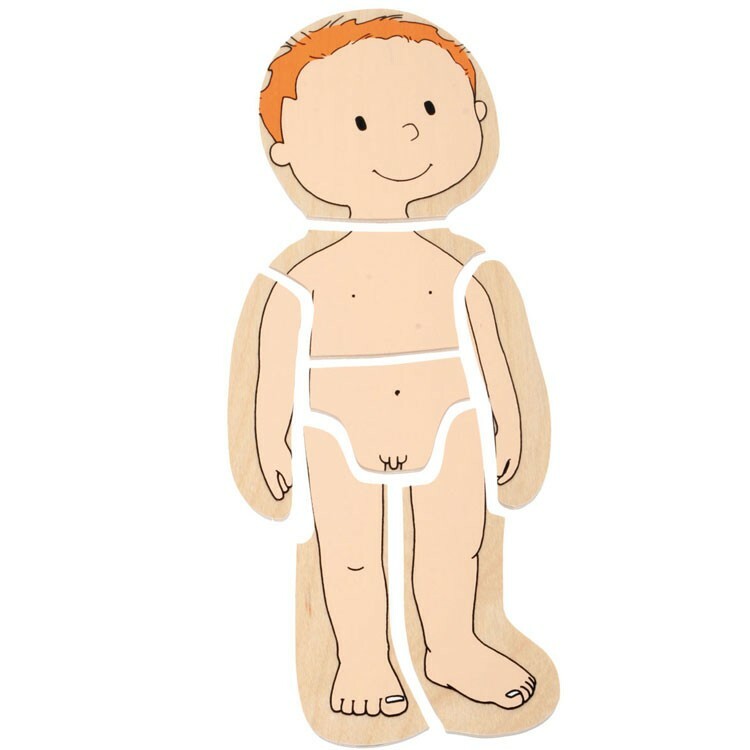 This unique human body puzzle shows the make-up of a boy's body with 5 puzzle layers. 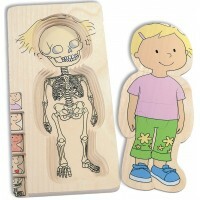 Each layer consists of 7 wooden puzzle pieces. 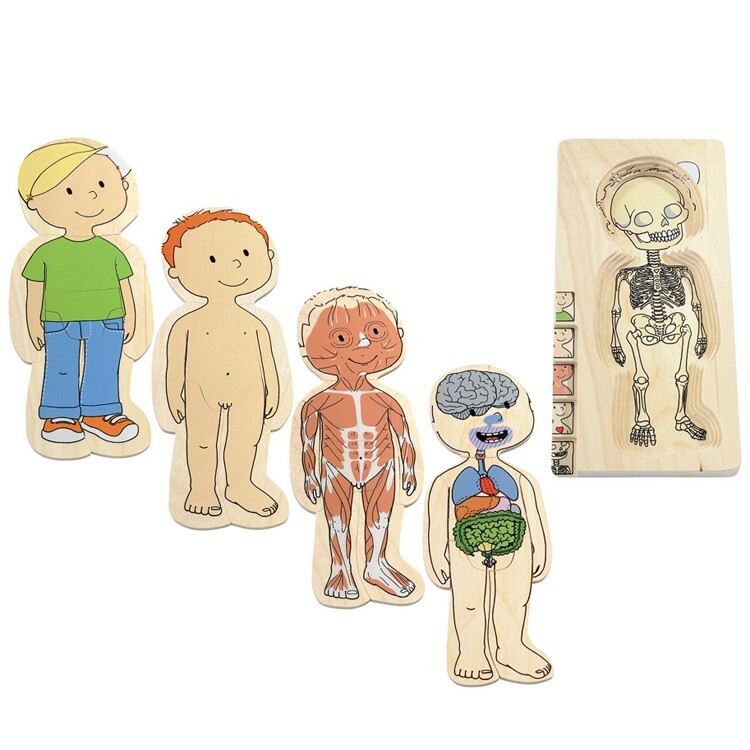 Start putting this human body learning puzzle together with the human skeleton, then add the brain and the digestive system. 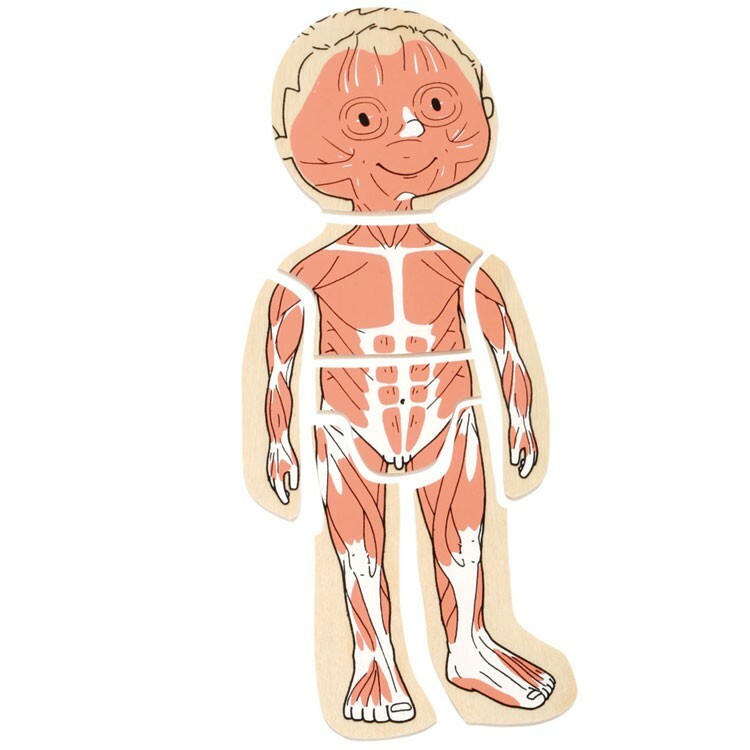 The next wooden puzzle layer of Boy Human Body Puzzle is the muscles. 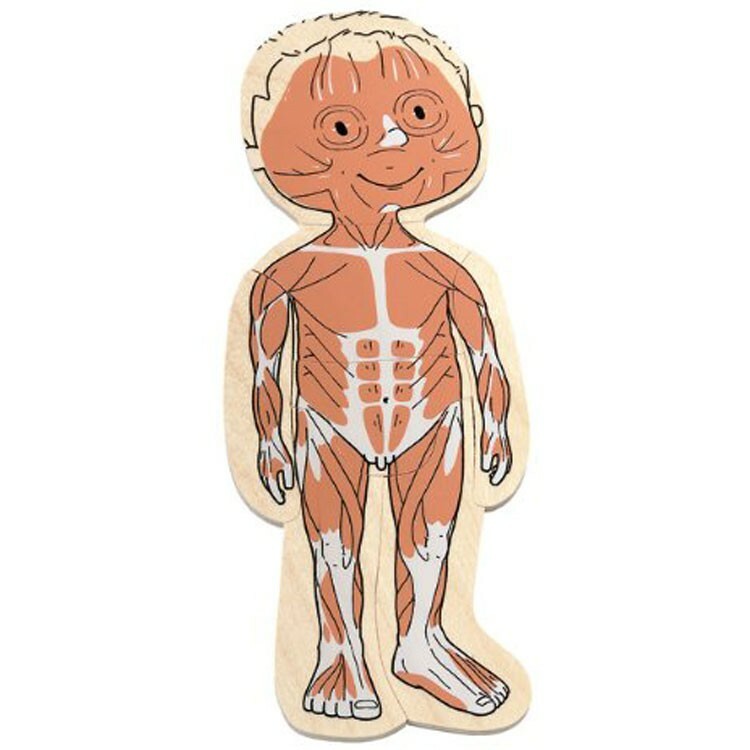 Then, add the skin. 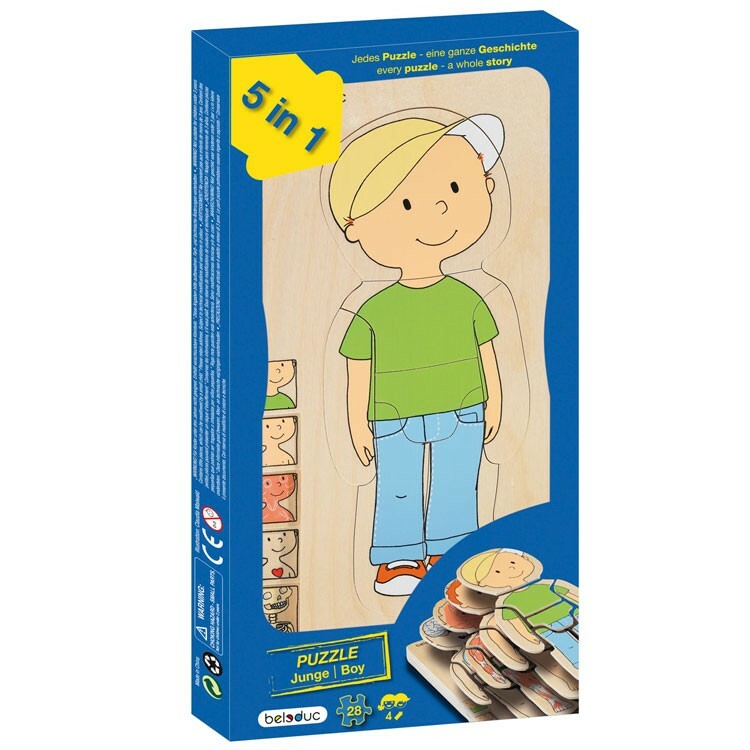 Finally, children can put on the clothing layer and be set. 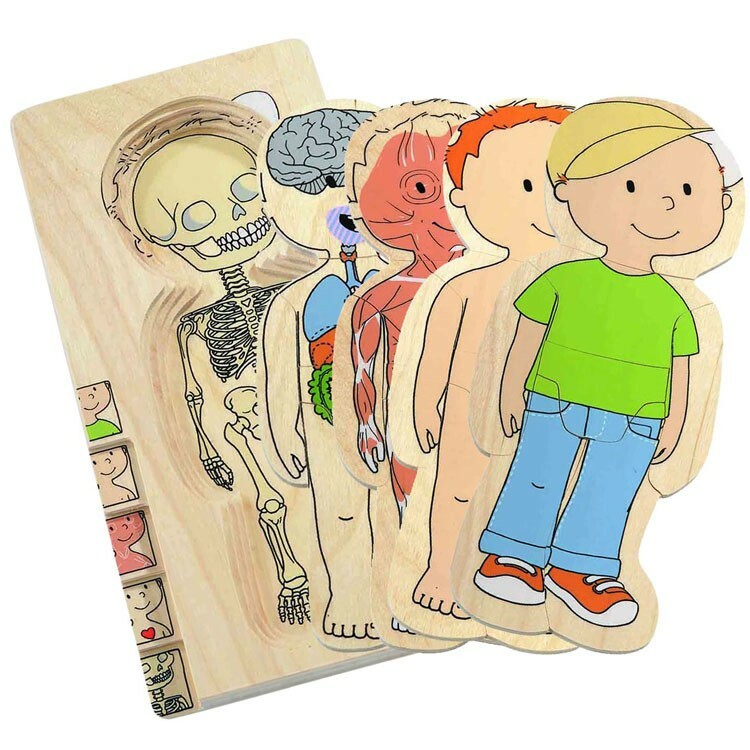 The layered boys anatomy high quality puzzle is made of natural birch. 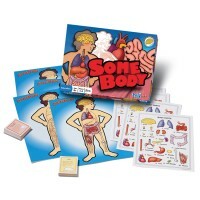 This wonderful human body puzzle will assist parents in teaching the children what's inside our bodies and entertain the kids. 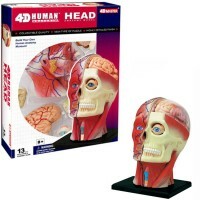 Boy Human Body Learning Puzzle is a great human body toy for preschools, learning centers, classrooms, or just at home. 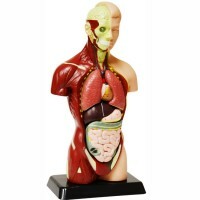 You can enjoy this kids anatomy puzzle by itself or complete a collection of human body puzzles with Girl Human Body Learning Puzzle from Educational Toys Planet. Dimensions of package 5.5" x 0" x 11.5"
Write your own review of Boy Human Body Learning Puzzle. 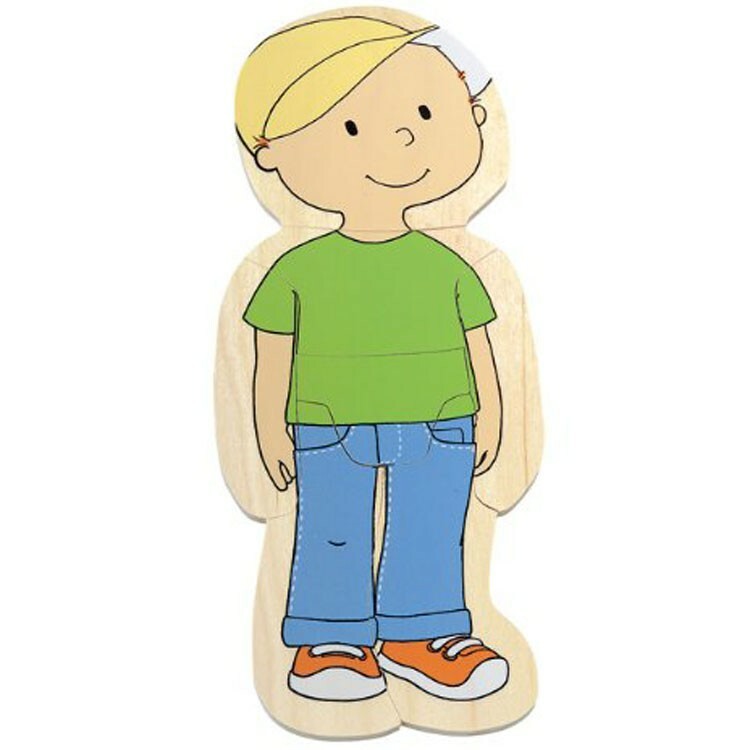 Rating: 5 by Catalina, TX This is the best. 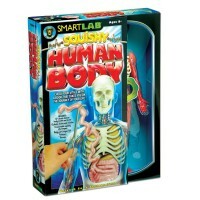 It is fun, she scramble all parts together but eventually she will learn the body parts. 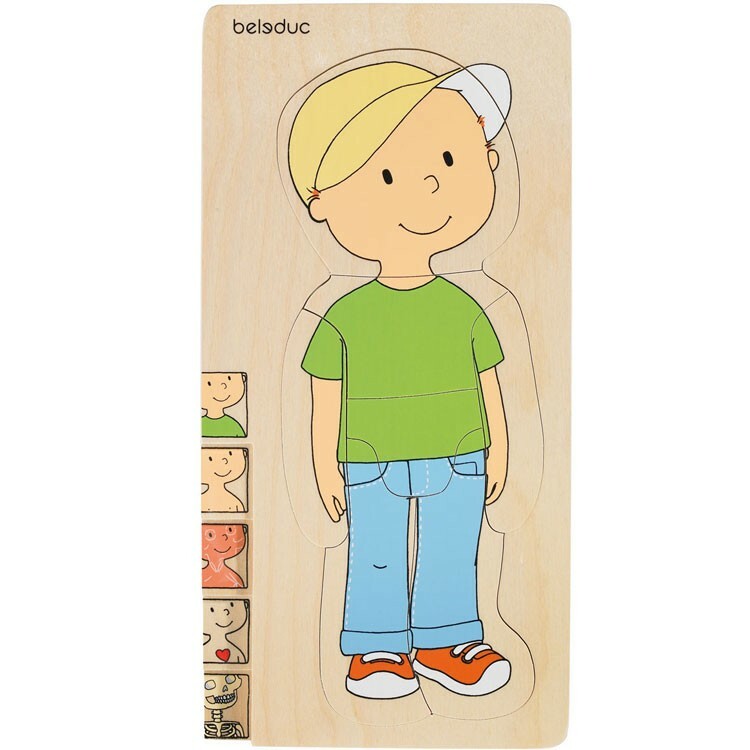 this one can take her to school age and behond. 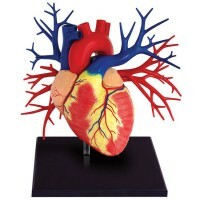 Rating: 5 by Carole, MI Excellent teaching tool. 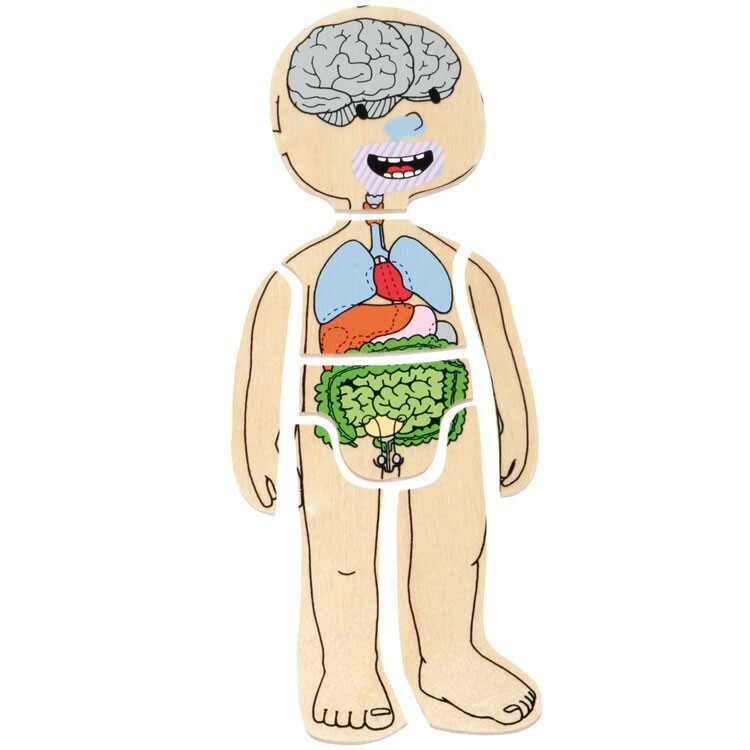 Shows what's goes on in the body without giving a child the creeps.